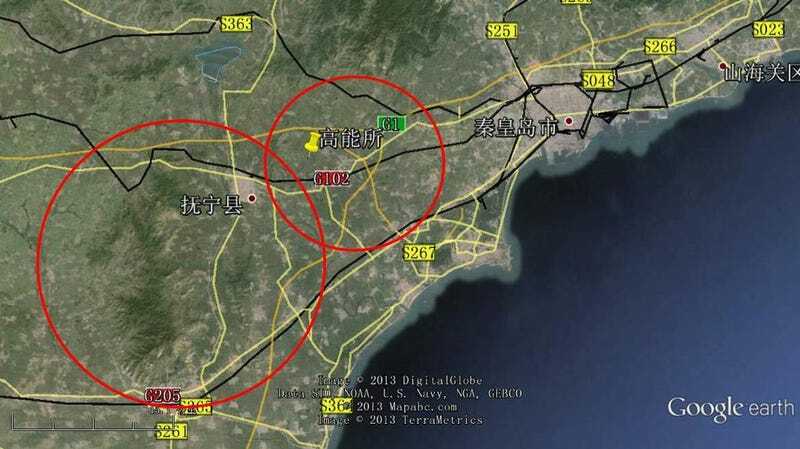 Proposed location for the Chinese Circular Electron Positron Collider (CEPC) infrastructure. Scientists this week released a conceptual design report for a next-generation particle accelerator in China, which would serve as a “Higgs boson factory,” as its proponents have called it. Back in 2012, the Large Hadron Collider discovered the Higgs boson particle, which netted François Englert and Peter Higgs the 2013 Nobel Prize in Physics. A next-generation collider would make lots of these Higgs bosons, in order to understand the particle’s properties and help scientists decide the future direction of particle physics. But some have commented that simply embracing the accelerator could be ignoring the human rights abuses of the Chinese government and the country’s political climate. 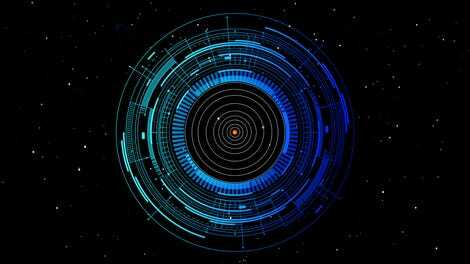 Physicists rely on particle accelerators to understand matter’s constituent parts. Sending subatomic particles to almost the speed of light and then smashing them together turns all of that energy into mass, and produces particles visible to the collider’s detectors. These high energies could potentially recreate some of the conditions at the time just after the Big Bang and answer questions about the particles that make up the universe, the force of gravity, and tons of other things. The current largest collider is the Large Hadron Collider at CERN in Geneva, Switzerland, which smashes protons and has a circumference of 16.6 miles. But scientists have already begun planning successors. CERN is in the midst of upgrading the LHC, and has plans for a “Future Circular Collider,” which could have 62-mile circumference. Today, the consortium of scientists representing the Chinese Circular Electron Positron Collider (CEPC) released a report detailing their proposed collider. It, too, would be housed in a hundred-kilometer- (62-mile-) round tunnel at one of three potential sites. The documents work under the assumption that the collider will be located near Qinhuangdao City, around 200 miles east of Beijing. It would collide electrons with their antimatter partners, called positrons (every particle has an antimatter partner with the same mass and opposite electric charge, among other differences). It would serve to generate “more than one million Higgs particles,” as well as billions of another particle called the Z boson and 15 million pairs of W bosons. This would allow scientists to precisely measure these particles, which could direct physicists toward the kind of experiments they should perform next. It’s in line with the goals of other proposed future particle colliders, like the International Linear Collider that would live in Japan. The tunnel is also large enough to accommodate a proton accelerator in the future, to complete higher-energy proton collisions like those at the LHC but on a larger scale. The tunnel could also serve as a synchrotron, another kind of particle accelerator that generates bright light to use for things like microscopy. At least one scientist we spoke to who has written on this subject expressed concern about the project. Yangyang Cheng, postdoc at Cornell University, told Gizmodo that she applauded the effort of the young scientists who put together the report, as well as the international collaboration—but said we all must consider the implications beyond just physics. Cheng was concerned both with the effects of the experiment and the safety of the construction project. She cited that the Chinese government displaced 9,000 villagers to build the FAST telescope, and it has had safety issues related to the construction of its high-speed rail network. But on top of that, the country recently eliminated presidential term limits and is racking up human rights violations. This is not meant to ignore other governments that sponsor violence, and China has been leading the way in some scientific disciplines, including quantum physics. But Cheng asked that scientists worldwide don’t just allow the machine to be built and use it without exercising their political power to help address the country’s issues. “International scientists have leverage and power,” that they can wield without being complicit. She also said that Chinese scientists should be more aware about their potential complicity. Gizmodo has contacted representatives for the collider, CERN, and the United States’ Fermilab for comment, and will update the post when we hear back. Research and development on the experiment will occur from 2018 to 2022, according to the report, and Chinese funding agencies have taken an interest in funding large science projects. Construction would then run from 2022 to 2030. After 10 years of operation, the upgrade to a proton collider would begin. All-in-all, the proposal for the project estimates a cost of less than 6 billion Swiss francs, or around $5.92 billion—and mentions that building in China would lead to cost savings. Meanwhile, we’ve got our own accelerators planned for the U.S., such as the electron-ion collider, but nothing at quite the scale of the CEPC.